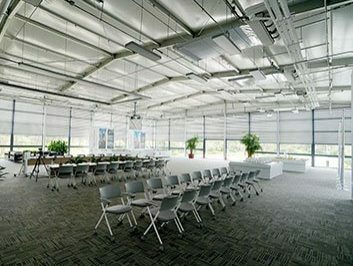 Do you need to quickly expand the ability of production and operation? 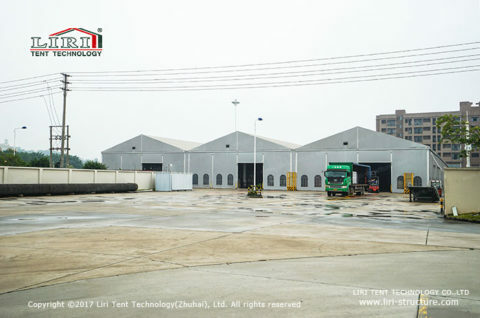 LIRI temporary workshop building is one of the cost-effective temporary working space solutions. 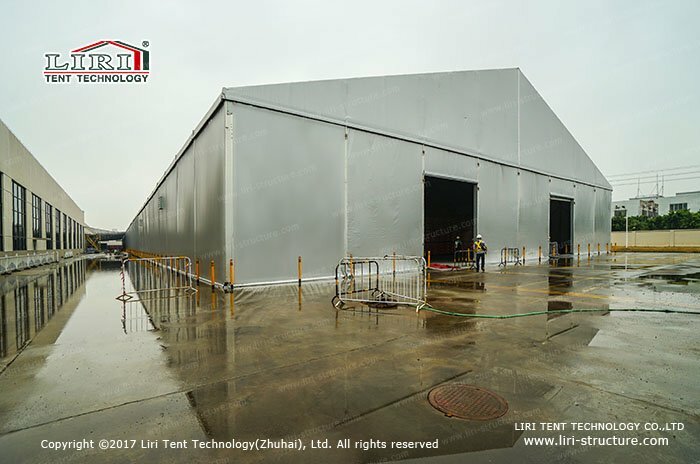 We can provide the workshop with 10-60m width, unlimited length, suitable for various usages, such as temporary or permanent workshop, equipment fixing workshop, temporary warehouse and so on. 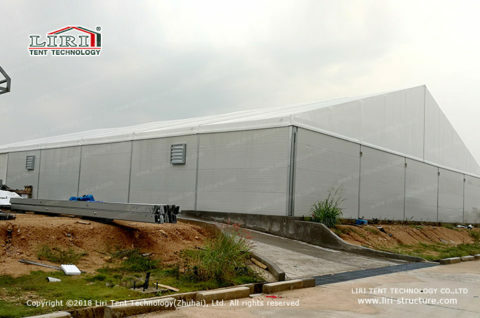 Our temporary workshop building adopts modular structure design, takes only a week to install for the customer. After use, the site can be restored with 100% disassemble and can be replaced after reassembly. 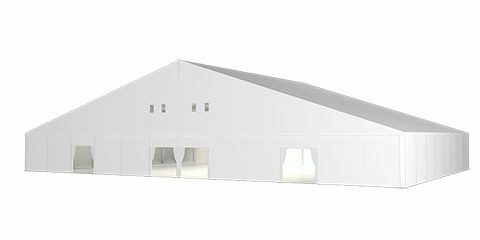 Compare with the traditional buildings, the temporary workshop buildings can save a lot of time and cost of construction, can put into use very soon. 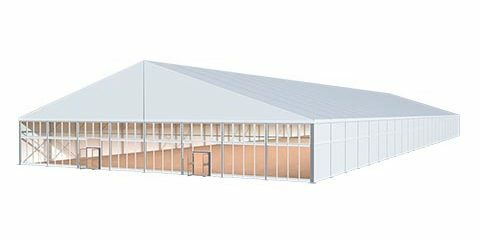 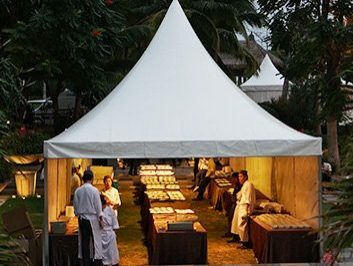 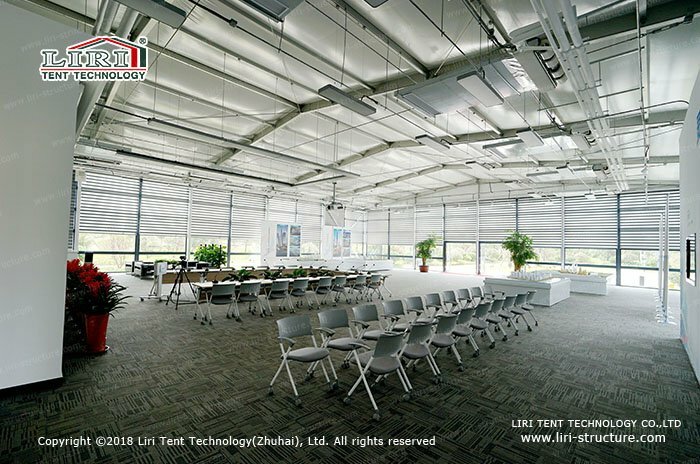 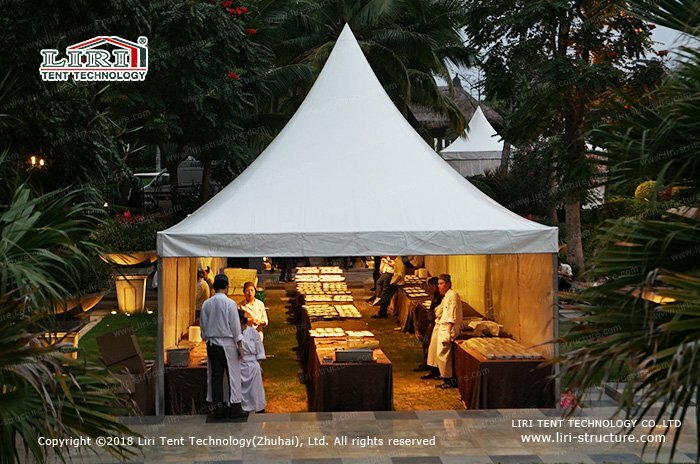 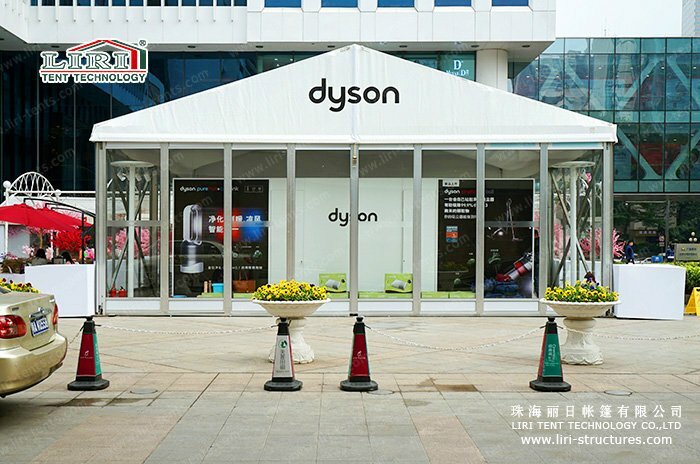 LIRI TENT focus on temporary building designing and manufacturing more than 20 years, its temporary workshop buildings are directly made by their factory. The structure is in line with industry standards. 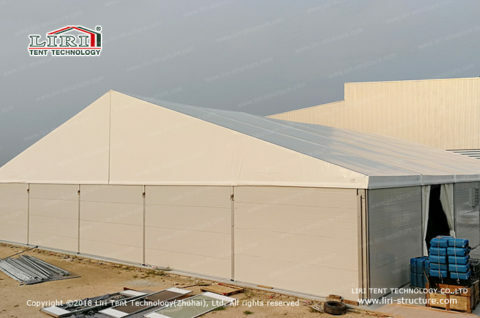 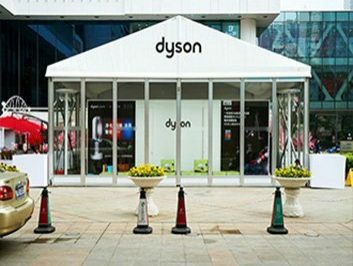 Reinforced aluminum alloy frame and double PVC coated polyester can protect against exposure, rain, and wind. 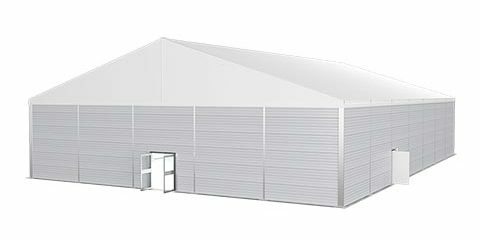 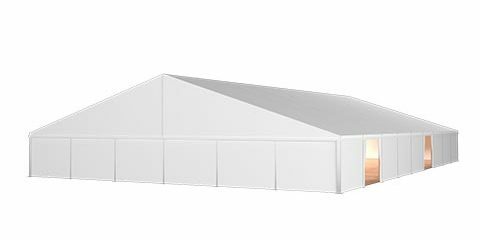 Apart from this, we also provide all kinds of accessories for the temporary workshop buildings, can meet different demands.